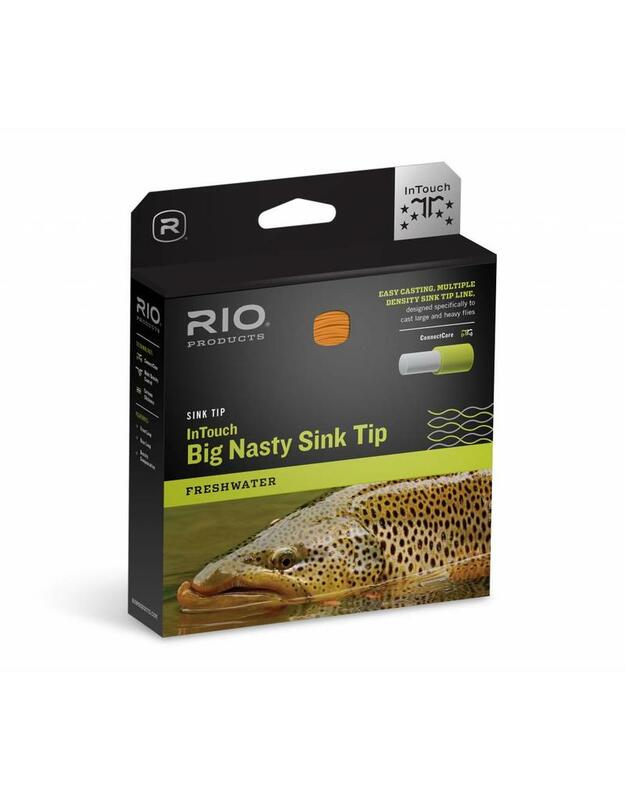 RIO’S INTOUCH BIG NASTY SINK TIP line is the perfect sink tip for casting large streamers, with a front-loaded weight distribution that easily casts the biggest of flies. 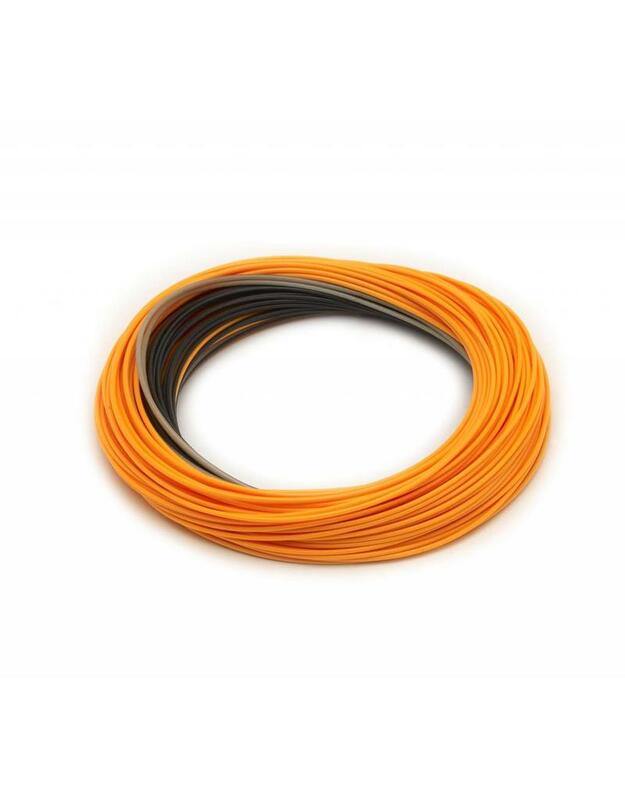 The line features RIO’s Multi Density Control - a seamless blend of four densities that ensures the smoothest transition of energy when casting, and the best depth control when fishing. It is made with an ultra-low stretch core for the maximum in sensitivity and performance. This is the easiest casting, fishiest sink tip line ever made. 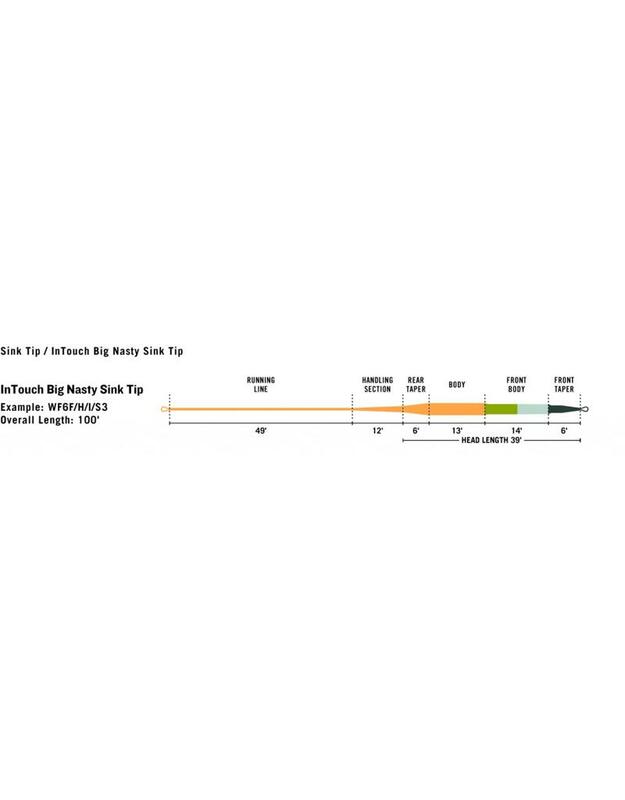 The F/I/S3/S5 fishes the deepest in the line series - averaging between 4 and 8 feet down.